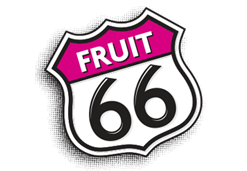 Our goal in creating Fruit 66 was to make a drink that kids would love and was good for them. We consulted with leading school nutritionists and food service professionals with knowledge of the current and emerging guidelines of the Nation's leading School Wellness Policies, the USDA and the Alliance for a Healthier Generation. We also talked to parents about what was important to them for the health of their children. And last but not least, we worked with to kids to make sure that what all the grownups thought was so great would actually be something they would drink. Fruit 66 packs a full serving of fruit into every 8oz. can along with Vitamin C, Calcium and Iron.